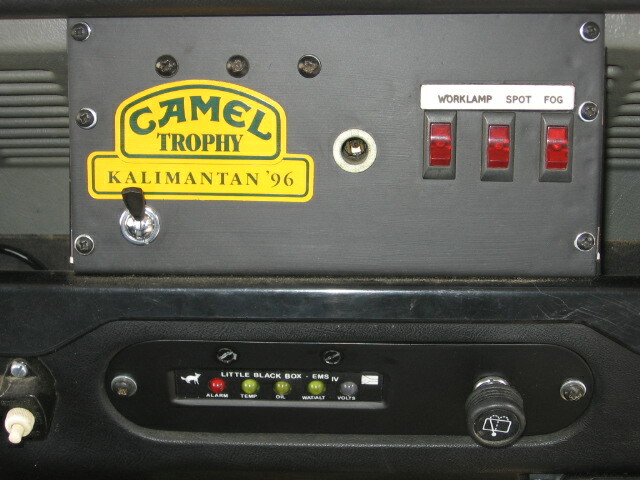 1995 Camel Trophy 110 Station Wagon"
This 110 station wagon was one of the video units on the 1996 Kalimantan Camel Trophy event and was assigned convoy number CT12. It appears regularly in the 1996 CT video and is in a number of Camel promotional pictures. 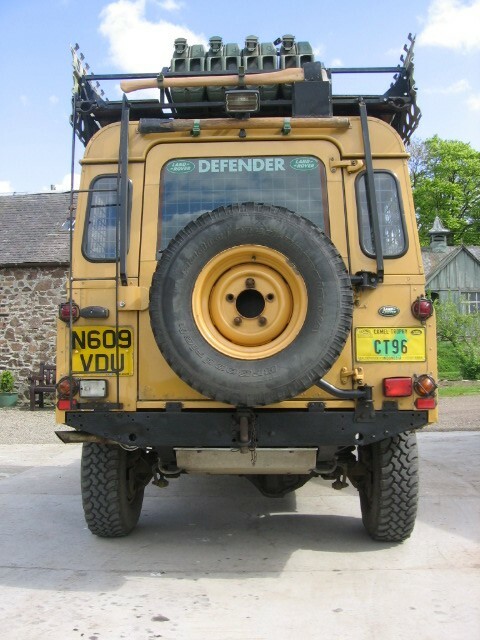 The Land Rover has the usual Camel Trophy specification including full roll cage, roofrack, underbody protection, snorkel, winch, heavy duty suspension, dual fuel tanks, additional lights etc. The Camel Trophy vehicles get some rough treatment on the events but although this Land Rover followed the same route as the competitors vehicles it would have had an easier time being driven by support drivers. After the CT96 event this Land Rover was used as a training vehicle in Spain for the CT97 event. After the Land Rover was retired from the Camel Trophy it was very tired and in need of a full mechanical overhaul, which included rebuilding the engine, gearbox and both axles. 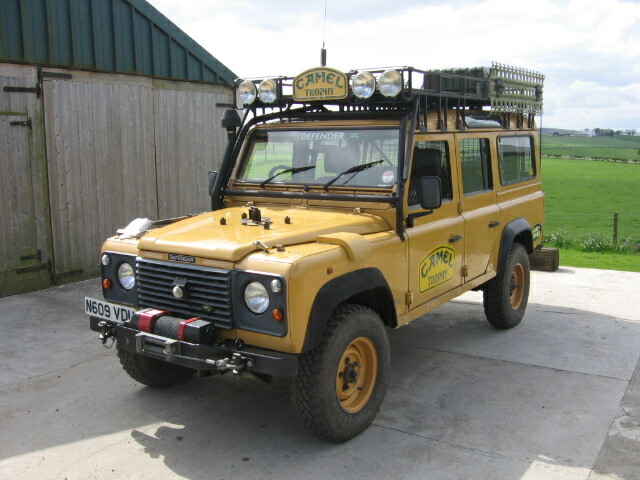 The suspension springs were replaced using genuine Land Rover parts (130HD spec) with Old Man Emu gas shock absorbers. 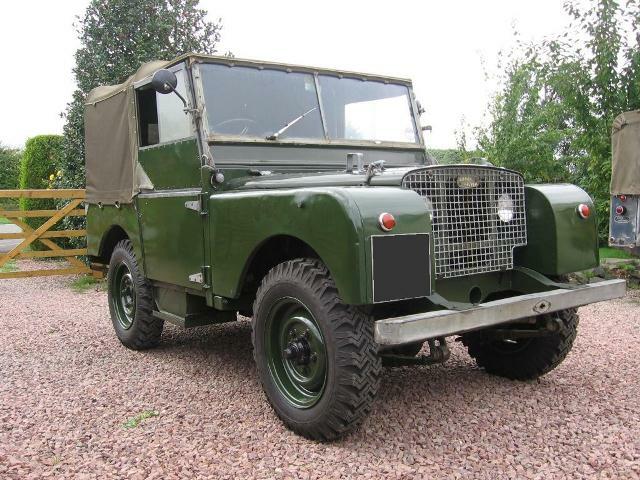 All the suspension bushes were replaced with standard Land Rover items. All the wheel rims were slightly buckled and the old Michelin XZL tyres well worn. We sourced some brand new 130 rims and fitted new BFG Mud Terrain tyres with new Michelin inner tubes. 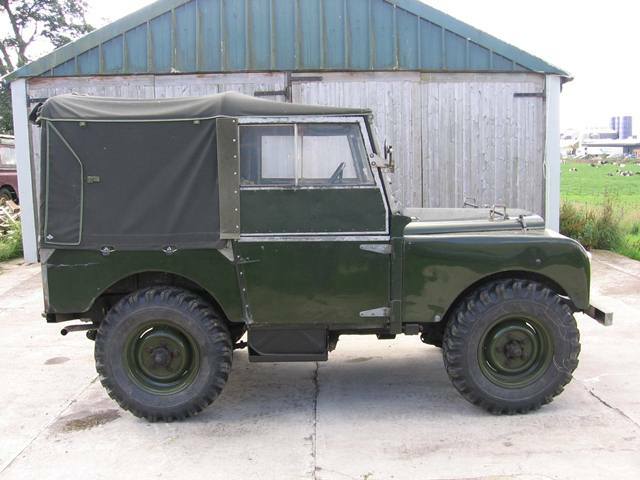 The chassis was de-rusted, painted and given a full Waxoyl treatment both inside and out. The Husky winch had done a lot of work and needed a complete strip down and rebuild with fresh oil/grease and new oil seals. The Superwinch Husky is a very strong commercial winch often overlooked these days as it has a relatively slow line speed, is heavy and expensive compared with other winches on the market. It is an extremely strong winch though, built with proper bearings. It also uses a worm drive gearbox and so does not need an additional braking system. 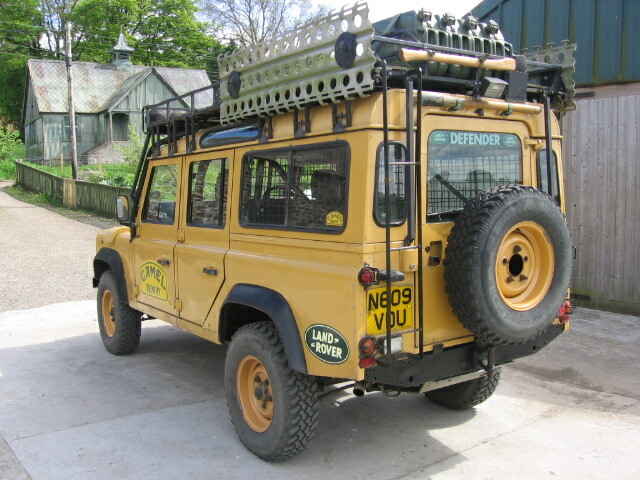 The Land Rover has been fitted with some additional expedition equipment including a Mantec rear spare wheel carrier, additional rear door security lock, security cubby box, rear window grills, rear adjustable tie down points, twin Optima batteries, heater intake snow guard and an external GPS antenna. The snow guard is a Military part and as well as keeping the heater intake clear in heavy snow is also useful in keeping rainwater out in the UK or sand when overlanding in the desert! We also fitted an Engine Monitoring System (EMS). The EMS continuously monitors the coolant temperature/level, oil pressure and battery charging and gives both an audible and visible warning if it detects a problem. We find these EMS units very useful as they can warn the driver instantly if there is a problem with the vehicle, reducing the risk of damage by driving with either low oil pressure or an overheating engine. 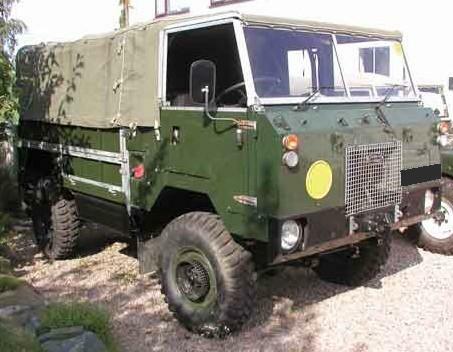 Once mechanically rebuilt the Camel Trophy 110 has been 100% reliable and gets many favourable comments. 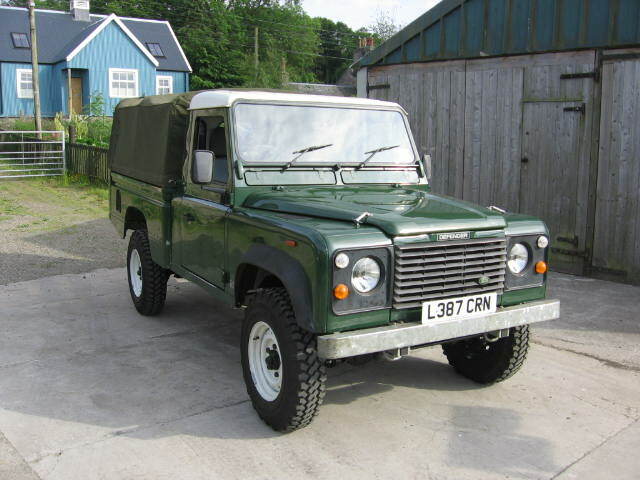 It is great fun to drive and surprisingly nimble off-road, although with all the extra Camel Trophy equipment it is a heavy vehicle and progress on the road can be sedate, even with a rebuilt 300Tdi engine. 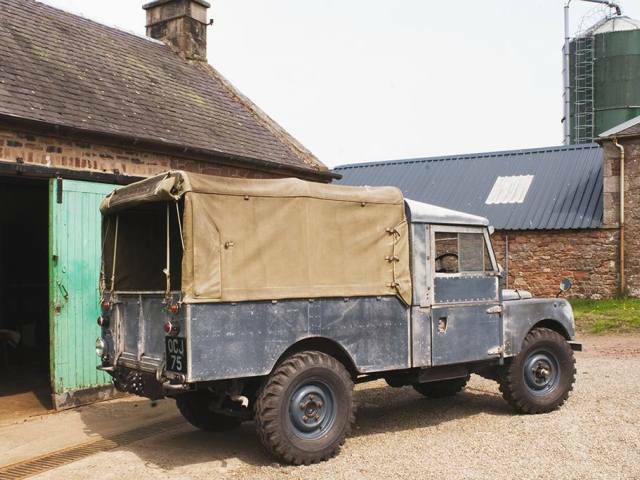 This Camel Trophy Land Rover has been sold now and taken on a round the world trip by its new owners. 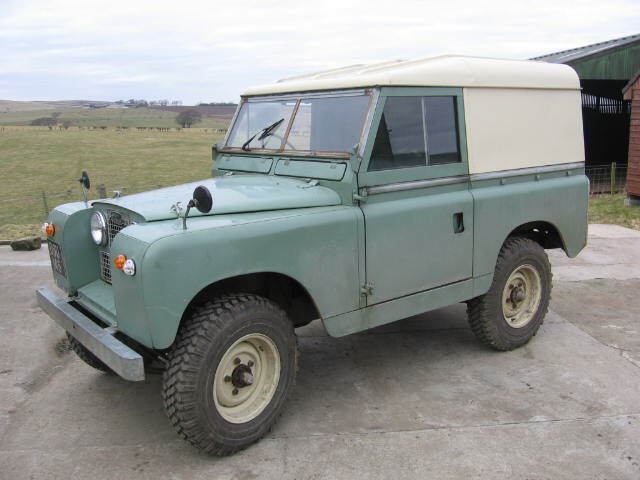 However, please contact us if you would like us to source a Camel Trophy Land Rover for you or even prepare your Land Rover for an overland expedition.